Are you searching for the top museums in Staten Island? Explore Fun New York's extensive guide, in which we list all types of great museums in Staten Island. We have searched far and wide to find you the absolute best Staten Island museums that will keep you staring in awe. A Remarkable Art Museum in Staten Island! 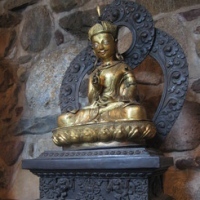 Browse through the most prized collections from Tibet at the Jacques Marchais Museum of Tibetan Art in Staten Island. Housing the biggest collection of Tibetan art in the U.S., the museum is bound to please any connoisseur of fine art. The entire museum is built to resemble an authentic Tibetan monastery with terraced gardens and grounds, as well as a fish and lotus pond. And, just like a Tibetan monastery, the overall atmosphere is peaceful and tranquil. The museum was even praised by the Dalai Lama himself, during his visit in 1991. Do not pass up the chance to visit one of the best museums Staten Island has to offer! One of the Best Museums for Kids in Staten Island! Open Tuesday through Sunday, The Staten Island Children's Museum is guaranteed to launch your child into a joyous world of discovery through several interactive exhibitions and creative workshops. 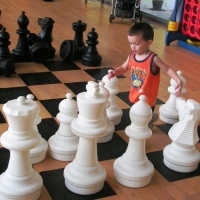 Mind-blowing exhibits include The Big Game, in which you'll get to see your child play Chess with life-sized pieces, play with giant dominoes, etc. Or watch your kid climb aboard Block Harbor, a virtual pirate ship solely led by your child's imagination. Members receive free admission to the museum, invitations to "members only" openings and events, discounts on birthday parties, and discounts on purchases at the museum shop. Admission is affordable for non-members and every Wednesday grandparents are free!